I’m a bit behind in posting my new paintings, but not to fear my faithful readers, I AM still painting. Not just JT’s aunt’s house but on canvas. 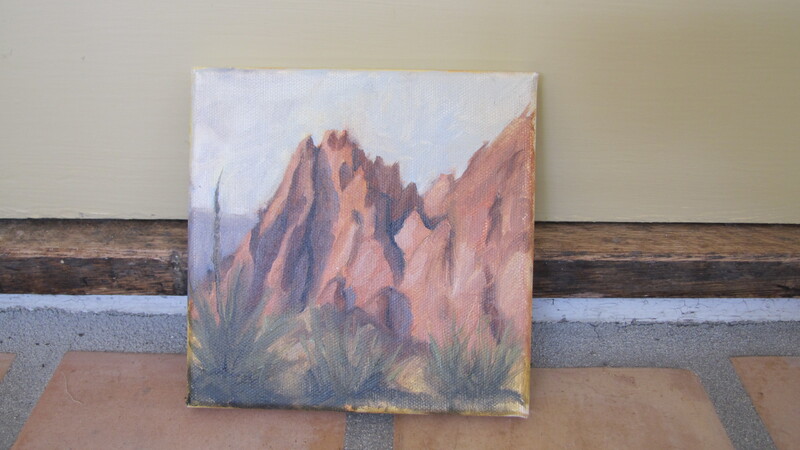 This is one I did during the holidays in Colorado Springs at Garden of the Gods. I love that place!